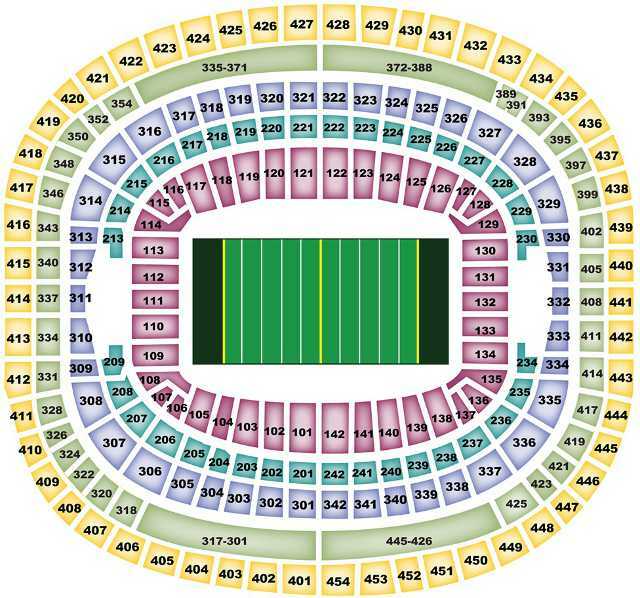 This Washington Redskins seating chart is used for every game the team plays at FedEx Field in Landover, Maryland. The team uses the same basic configuration for every game during the season and each of the seating areas remains relatively consistent from year to year. Redskins tickets are quite popular on the secondary market, but some NFL ticket merchants do not adequately identify the amenities available for each section. Consult this chart before making a purchase and also see details about the individual seating areas throughout FedEx Field: Redskins Suites, Redskins Dream Seats, Redskins Zone A Club, Redskins Zone B Club, Redskins Zone D Club, Redskins Club Level Party Decks, Redskins Audi Club, Redskins Hooters, Redskins Greene Turtle, Redskins Montecristo Club, Redskins Loge Seats, Redskins Lower Level General Admission, and Redskins Upper Level General Admission.